We all need to be lifted up and encouraged at times and the Bible is a great source for encouragement. The Bible is the living word of God and feeds us through the promises of God found in scripture. I have listed some of my favorite Bible verses for encouragement. These verses have lifted my spirit in times of need and I hope they do the same for you. Please also consider a deeper study of the Bible by looking up these verses and reading the context they come from. I pray these great scripture quotes are encouraging for you today! The Bible is full of strength scriptures to live by. These passages will bring many encouraging thoughts to your day. There are times in everyone’s life when we need encouragement and comfort. The Bible is great for this type of need also. How great is it to open the Bible and read words from the Prince of Peace giving us quotes to live by. 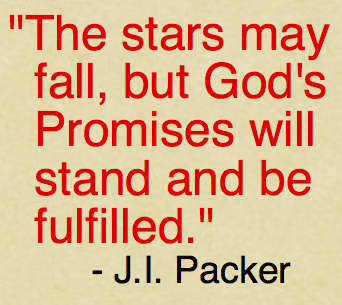 The promises that come in God’s word are sure to encourage you in your walk with Christ today. I love inspirational quotes from other Christians. Write one of these quotes down and try to read it a few more times today. Words of Encouragement: 30 Short Uplifting Quotes – Share these quotes with someone who needs to be encouraged and uplifted today or any day. 25 Bible Verses About Love – What does the Bible say about love? Check out these great scriptures and quotes. Pins and needles may also NOT have an anatomical cause. It can be related to a chronic pain syndrome or ANXIETY. A home strengthening exercise program and heat packs can help alleviate the symptoms. Don’t worry about anything but put it in prayer to God is the answer to anxiety, then trust and rely on Him. I have witnessed healings when calling on the name of Jesus. My mum, dad and older sister cried out to Jesus when my sister’s toddler girl drowned in our back yard pool. The doctors said she would be in a vegetative state at best but my family believed for our baby to be fully healed, fully restored, and our baby WAS fully healed and fully restored. Soon after that she was running around the ward being a nuisance to the nurses! She did very well all through school and is now a mother and a wedding photographer and a real estate property manager. Praise God! As we once had. We need companionship, it’s in the Bible. He wants a Christian companion, I want one too. Kindly contact for more details!! Thank you Remedan for your encouraging comment. You say that you’ll “be a Christian one day.” Why are you waiting my friend? If Christ returns and you haven’t repented and put your trust in Him it will be too late. Maybe I am misunderstanding you and if I am, I am so sorry. Are you not saved right now? Im uplifted…My lord is keeping his words I am walking in the valley of death but I feel his hand all the times…he is hear! he love he cares for me. This is awesome..Our God is an Awesome God. Your words father inspires us and always gives us hope. Thank you Jesus. What a blessing to be reminded of God’s promises. Thankyou for this blog. Trying times are supose to bring us closer to God.Draw close, He has something to tell you.Maybe you are missing something. Your words father inspires us. 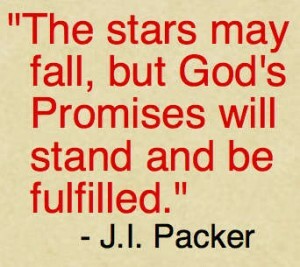 What a blessing to be reminded of God’s promises. Thank you. Next post: Are Catholics Saved and Are They Christians?